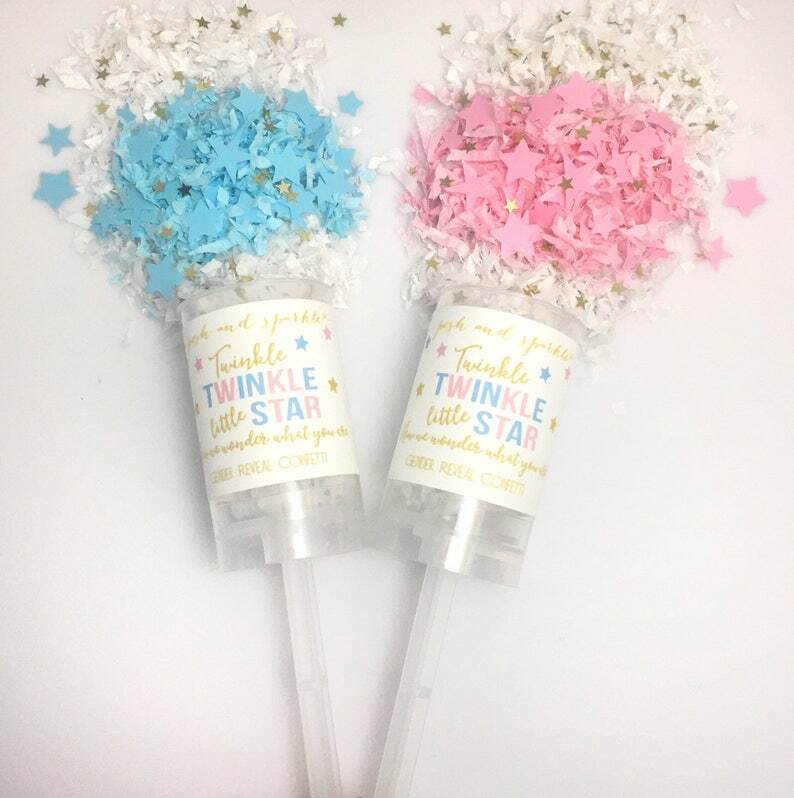 Get everyone in on the excitement by all launching, at the same time, our Twinkle Twinkle Little Star Gender Reveal Confetti Poppers! 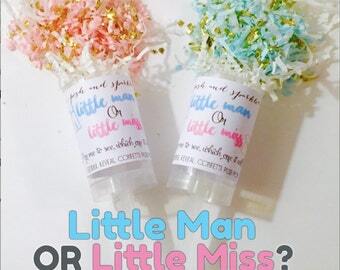 Hand one out to everyone at your gender reveal party, take off the lid, count down from 5, push the stick up with the palm of your hand and yell, “It’s a ….” for a harmless explosion of either blue or pink confetti! 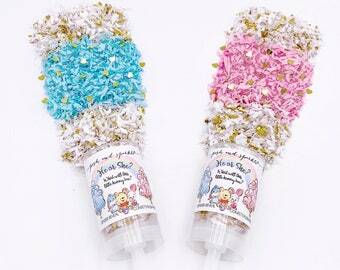 FOR A GIRL: baby pink star cut-outs & confetti shred; FOR A BOY: baby blue star cut-outs & confetti shred. 🎉Label reads: " Twinkle, Twinkle, little star, what we wonder what you are. 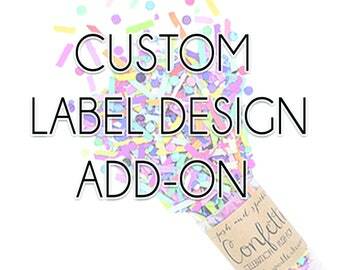 Gender Reveal Confetti”. 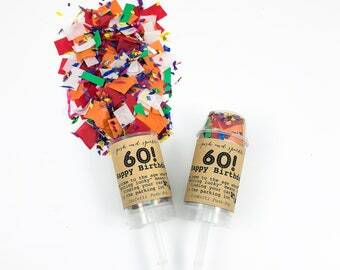 Very cute idea but they didn’t explode like we expected them to. 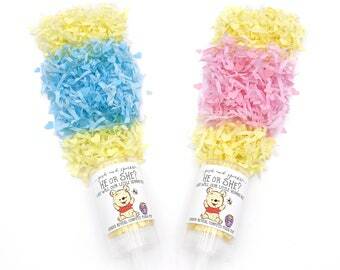 If you don’t hit the stick the right way or hard enough it won’t explode with excitement.